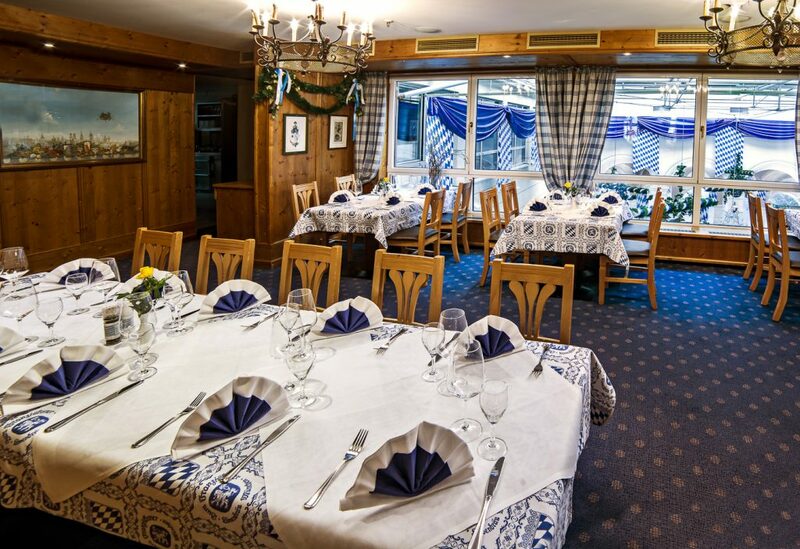 The Stöcklstüberl space is decked out in Bavarian blue and white, and provides a cozy place to while away the hours. Not only will you have a splendid time here, you can also observe the lively restaurant goings-on in the courtyard from above. An expansive glass wall lets in plenty of sunlight and provides a rgreat view from the first floor. The Stöcklstüberl is particularly lovely when filled with life. That’s why it’s preferred by smaller groups or restaurant reservations for at least 8 people. Many people consider the tavern-style coziness of our establishment to be one of the highlights of their trip to Munich. 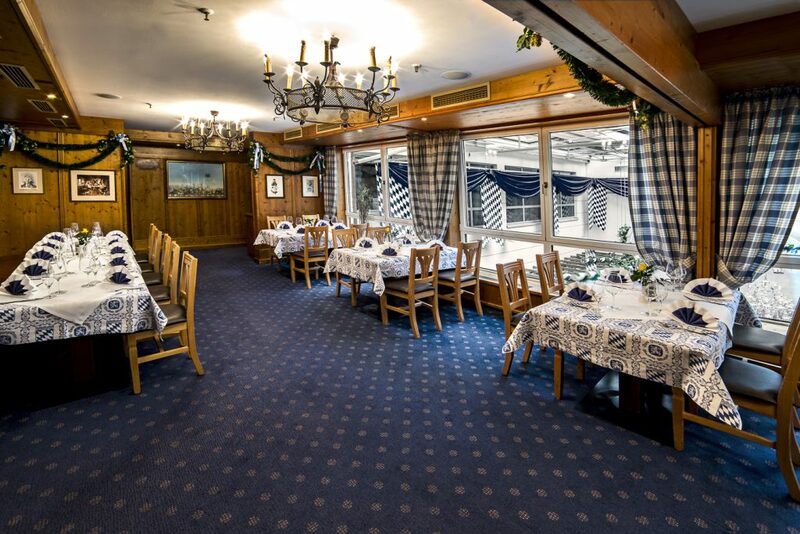 The carefully decorated wood paneling completes the authentic Bavarian “tavern” experience. Contact us via e-mail at: reservierung@zum-franziskaner.de or by phone at: +49 89 23181266.